Read this Red Dead Online guide on the Showdown Series - Shootout and Team Shootout! Read on for information on the game mode, gameplay tips, and more! 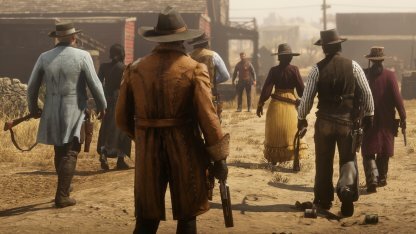 In a free-for-all death match, Shootout and Team Shootout will have Red Dead Online players gunning down foes to get the most kills before the timer runs out. Shootout and Team Shootout is a free-for-all death match. Players just need to keep eliminating their opponents to win! In this game mode, you don't have to fear death. You'll get unlimited lives and can respawn as much as you want as long as the timer in the match is still running. 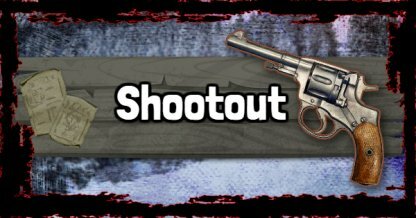 Shootout and Team Shootout is basically a death match game mode that you can choose to complete solo or work together on with friends. The point of this game mode is to rack up as many kills within the time limit. Eliminating players no matter what means will count towards the total. In case the kills are tied, a sudden death will initiate to break the tie. The player or the team who gets the first kill will immediately win the match.